Bettas are beautiful vibrant fish that brighten up your tank in a fantastic way! And while glass catfish are the complete opposite, it doesn’t make them any less amazing. Instead of vibrant colors, they’re transparent. In fact, they’re so see through you can even see their spine and organs. But do they make good tank mates? Keep reading to find out if you should put glass catfish and bettas together. 1 Can Glass Catfish And Bettas Live Together? 2 What Are Glass Catfish? 4 What Habitat Do Glass Catfish Prefer? 5 What Are The Ideal Conditions For Glass Catfish? The short answer is yes. However, it’s not as simple as adding them together and leaving them to it. They both have certain requirements they need to thrive in your tank. If you don’t meet them, they’ll become stressed and most likely die. 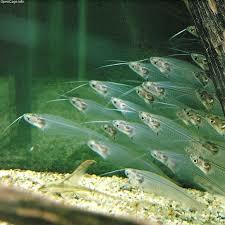 But before you learn about them here’s some more information about glass catfish. And of course, most importantly, it also depends on the temperament of your betta. If he’s particularly aggressive or ornery then you shouldn’t place any fish in the tank with him. Glass catfish are a species of fish that look amazing. Not only is the skin on their body transparent, but so are their fins. In fact, it can be extremely difficult to see their dorsal and tail fins. While they don’t act like catfish, they are still a member of the same species. For example, instead of preferring the bottom of the tank, they prefer to swim in the middle of your tank, as well as eat their food there as well. As well as this, unlike a lot of other catfish, they also like to swim in shoals. This is quite uncommon but makes them look even more amazing. The main way you can tell they are a member of the catfish family is the barbels on their head. Most catfish have these barbels and that’s why they get their name. Because they resemble the whiskers on a cat’s face. And the barbels aren’t just there for show, they let the glass catfish know about any changes in their surroundings. 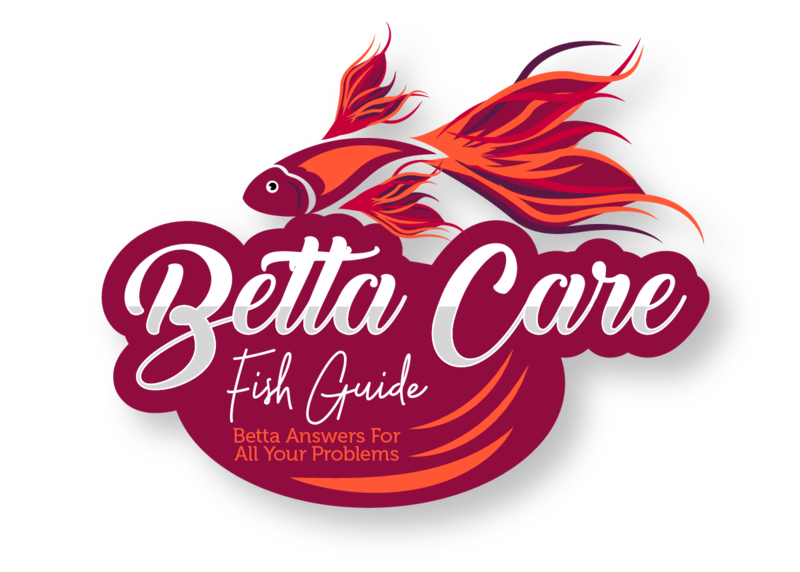 If you’re adding any fish with your betta then you need to make sure they have the right temperament. If they’re too aggressive, they may start nipping your betta or in some cases attack him. Obviously, this isn’t what you want to happen in your tank. Because it can often result in one or all of the fish becoming stressed and eventually dying. Thankfully glass catfish and bettas don’t share this problem. Glass catfish are extremely peaceful fish, and will keep to themselves. However, this is a double-edged sword. If your betta doesn’t take to them then he’ll constantly harass them and they won’t defend themselves as much as more aggressive fish. You can work around this by making sure there are lots of hiding places (which glass catfish love) or by moving them into another tank away from your betta. Also, it’s unlikely that a glass catfish left alone will survive. They’re schooling fish so they need to be kept with at least 3 others. However, if you really want them to thrive then 10-12 is the optimal size. And if you add them to a school this big, you’ll really see them become more confident. What Habitat Do Glass Catfish Prefer? Glass catfish and bettas both originate in South East Asia. So you can set up your tank in a way that benefits both your betta and catfish. First of all, they’re only going to need slow flowing water. Your betta will love this too. If the water flow is too strong then he’s going to have trouble swimming through it. However, it’s important to remember that you HAVE to have water flowing for glass catfish. They aren’t as hardy as bettas and if their needs aren’t met then they become stressed very easily. As well as this, it’s best to give glass catfish a lot of room to swim. While your betta only needs 5 gallons to be happy, glass catfish will need a minimum of 30 gallons. Not only will this be able to handle the bioload of 5-6 glass catfish, but it also gives them plenty of room to swim. They are energetic fish and like to cover long distances. When looking for a tank you should try to find one with a lot of horizontal space. Also, the larger space will let them open up more. They will feel safer knowing there’s a lot of places they can go to hide. And it will be easier for them to get away from other fish in your tank if they’re feeling threatened. And on that note, make sure there are lots of decorations in your tank for them. Live plants (such as java moss, java fern and hornwort), driftwood, and caves are excellent choices. Then there will be loads of places for your glass catfish to hide and make them feel a lot more secure. Your betta will also love the decorations as well. The extra plants and caves will give him a lot of areas to make his territory and patrol. And as long as your glass catfish avoid his territory there shouldn’t be a problem in the tank. 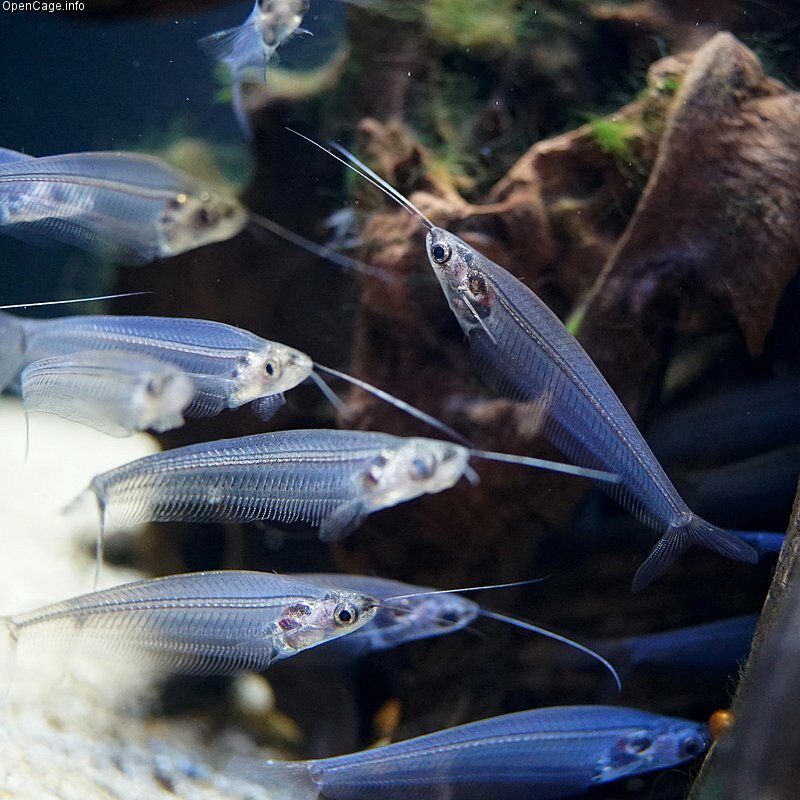 What Are The Ideal Conditions For Glass Catfish? The biggest issue with glass catfish is the conditions they need. If all the conditions aren’t met then they’ll quickly become stressed. Once their stressed their immune system becomes weakened and they’ll eventually succumb to disease. If you’re a novice fish keeper you may want to consider avoiding glass catfish at first. However, if you’re more experienced then keep reading. Glass catfish are going to need a tank temperature between 75-80°F. A bettas ideal temperature is 78°F which falls nicely within the glass catfish temperature bracket. As well as this the water in your tank should also have a pH between 6.5-7.0. While bettas prefer water as close to neutral as possible, it’s also acceptable to have slightly more acidic water. As long as the pH always stays stable and doesn’t fluctuate. Remember, it’s also important for there to be slow flowing water in your tank. Because glass catfish are very fragile stagnated water could have disastrous effects on them over time. If you want to keep glass catfish and bettas together then it’s important that both breeds are getting the right amount of nutrients. Luckily, their diets are quite similar, and they’re going to be very meat heavy. However, make sure you’re also including some plant-based food in your feeding routine as well. While it’s not as important for your betta, glass catfish need a small amount of plant-based food in their diet. The problem with feeding bettas and glass catfish is trying to make sure every fish gets enough. Your betta is extremely greedy and will feed at the top of the tank whereas glass catfish prefer the middle. They are already easily intimidated so your betta’s (potential) aggression could become a problem when they’re being fed. However, there are ways you can overcome this. First of all, you could feed your betta down one end of the tank, and while he’s distracted drop food down the opposite side for your glass catfish to eat. This works better with sinking pellets, which will reach them quicker. However, at the same time, it can be difficult to separate the fish beforehand. Alternatively, you can also catch your betta in a net or tub. Once he’s trapped you can begin feeding your glass catfish in peace. The only problem with this is the increased stress which is going to be caused to your betta. However, it’s also totally plausible that your glass catfish and betta will both get enough food without you having to get involved. 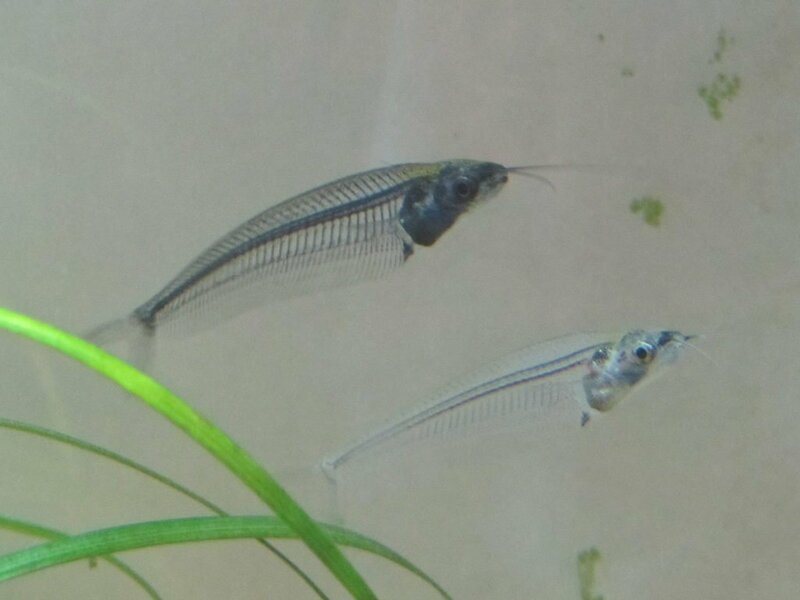 If you buy glass catfish then you may be surprised to know they will probably outlive your betta. While bettas only live up to 5 years, glass catfish potentially live for up to 8 years, but oftentimes 7. As well as this they’re also going to grow to about 2.5 inches in size. This is one of the reasons you’re going to need to make sure you put them in a larger tank. If you have 6 fish that are 2.5 inches in size each then the bioload is going to be too high for a smaller tank. Glass catfish are extremely peaceful and skittish fish. If you want to add them to a tank with your betta make sure there are a lot of places for them to hide such as plants, caves, and driftwood. Glass catfish NEED other glass catfish to survive. One of them on their own won’t be happy. Instead, you should aim to have at least 6 in the tank at a time. Make sure that the water in the tank is slow flowing. Your glass catfish and betta will both be grateful. However, remember that you don’t want the water current to be too strong otherwise your betta will have a hard time swimming. A small tank won’t work for glass catfish as it does for your betta. They will need a minimum of 30 gallons to be happy. Glass catfish won’t be as hardy as your betta. The water temperature they need and pH levels they need have to be constant. If they fluctuate too much or aren’t between 75-80°F temperature and a pH level of 6.5 – 7.0 then they won’t survive for long. And make sure you’re feeding your glass catfish a mix of meat and plant-based food. Rasboras – Rasboras and Bettas live in the same ecosystem in the wild. This makes Rasboras one of the greatest tank mates for your betta. Not only are they peaceful but they also look fantastic. Their food and water needs are similar and they’re also hardy fish. Platies – If you want to shake things up a bit in your tank then try platies. They are nicely colored but not vibrant enough to be attacked by your betta. They are livebearers as well which means every once in a while you’re going to have a free food source for your betta! Guppies – You may have been told that you can’t keep guppies with bettas. This isn’t entirely true. While it’s not a good idea to keep male guppies and male bettas together, it is possible to keep male bettas with female guppies! Find out what sexes you can keep together in this article! Shrimp – You don’t only need to have fish in your tank. Shrimp make excellent tank mates as well. There are a lot of different ones to choose from and they all have their own unique gifts to bring to your tank!